Music has played an important part in the worship of the Christian church for more than a thousand years, enriching our experience of public prayer and raising our hearts to God in worship. In our parish, we value a range of music in our Sunday services and at important occasions in the Christian Year. The first Sunday of the month at St Saviour’s is less formal in feel, and the music at our services is a mixture of modern and classical hymns and songs. On the other Sundays, our services seek to be elegant and well structured, and this is reflected in our choice of music. Evensong is sung by our Church Choir on all Sundays except the first in the month. Once per month we have Choral Evensong, at which the settings for the canticles are polyphonic. 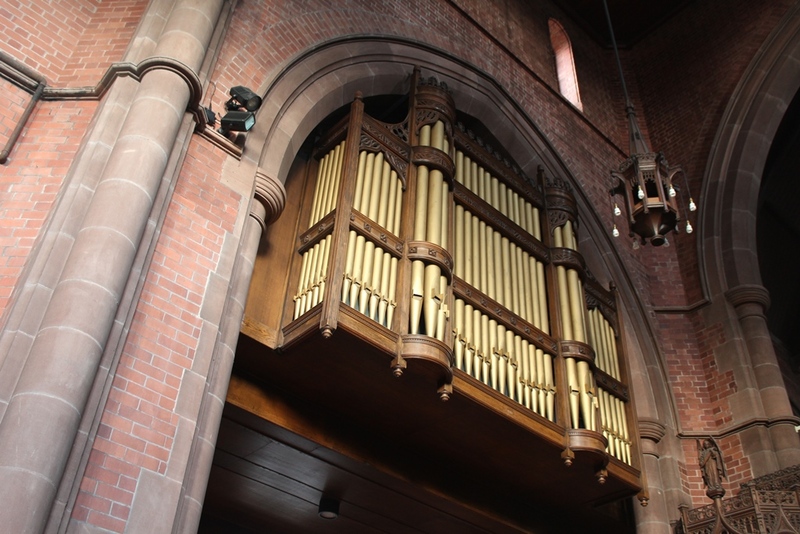 Our Parish Church is blessed with a fine organ. Our Parish’s Director of Music is Glyn Môn Hughes, and our Associate Director of Music is Jon Barton. Glyn and Jon work in close collaboration with our Vicar to nurture and to continue to build our tradition of high quality music serving our worshipping life. Please click on this link in order to download the music list for our choral services this month at St Saviour’s. There are a number of ways to be involved in our choral tradition – on either a regular or an occasional basis. More information is available about our Church Choirs and how to join them by clicking here. We also have a Junior Choir, which meets once a week in term time and sings a wide range of modern songs, both secular and religious. The emphasis is on fun and learning. Occasionally, our Junior Choir sings in services. For more information about our Junior Choir and how to join it, click here.